"Remember - it's all in your head. 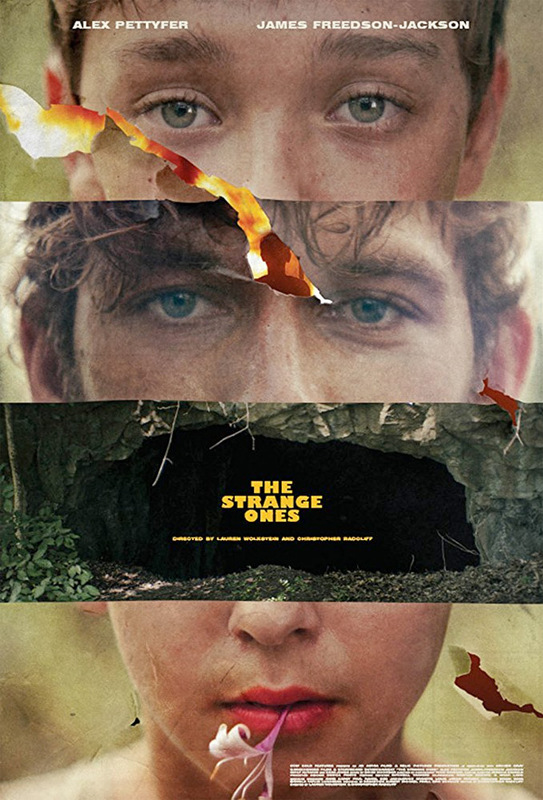 It's not real…" Vertical Entertainment has unveiled the first teaser trailer for an indie crime thriller titled The Strange Ones, from young directors Christopher Radcliff & Lauren Wolkstein, which premiered at the SXSW Film Festival earlier this year. The story follows two travelers as they make their way across a remote American landscape, with mysterious things happening. This stars Alex Pettyfer, James Freedson-Jackson, Emily Althaus, Tobias Campbell, Owen Campbell, and Gene Jones. The film won a Special Jury prize at SXSW for the Breakthrough Performance of James Freedson-Jackson. This looks like pretty much every other "strange America" film about people lost in the wilderness, getting into all kinds of trouble. I can't even tell what this is about, but the trailer is cool at least.